Playing a sport is an excellent way to get fit without the drudgery of repetitive gym exercises. Football, basketball, baseball, and soccer tend to hog the spotlight, but there are many more options to get your game on while shredding calories. Here are five of the most underrated sports that provide exceptional exercise and fitness. If you play any of these, you’ll know what we mean. You don’t have to be as good as Roger Federer or Rafael Nadal to get a great tennis workout. This “gentleman’s sport” combines hand-eye coordination, flexibility, fast-twitch muscle movements, leg strength and cardiovascular endurance to serve up fun and fitness. 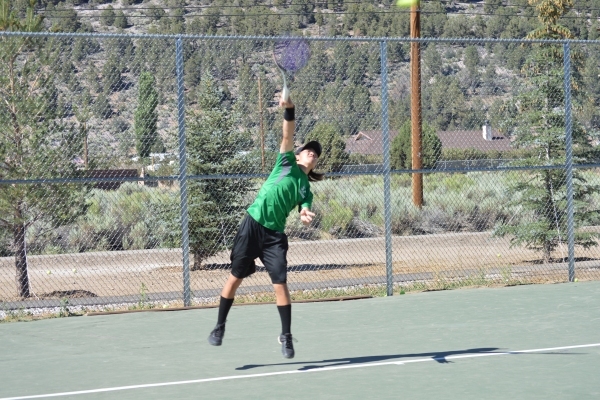 Tennis players compete outdoors on a variety of surfaces — namely hard courts, grass and clay. They must also adapt to heat, humidity, wind and other environmental factors. Indoor courts allow tennis to played year-round. Wearing loose-fitting clothing and comfortable shoes and staying hydrated is key to getting the most out of your tennis workout. Newcomers to the sport can hone their skills under professional guidance at a tennis camp. Whether you’re picking up a racket for the first time or have been serving aces since childhood, you’ll enjoy your time on the court. Another one of our favorite racket-based sports is squash. This peculiar sport is played exclusively indoors. Players hit the ball against playable sections of the wall, and the opposing player must return the ball before it strikes the floor twice. The ball can bounce off of any of the four walls of the room any number of times. Squash balls are crafted from rubber and come in four levels of bounciness, from slow to very fast, denoted by colored dots that include double yellow, yellow, red, and blue. Red and blue matches demand high levels of physical conditioning and fast reaction times. In order to win, strategy and tactics are just as important as physical exercise and fitness. Strategic positioning, anticipating the opposing player’s next hit, and managing your energy throughout the match is crucial. Players can lose points for intentionally or accidentally obstructing their opponent. Like in tennis, play styles include power hitting, pinpoint hitting, counter punching (returning) and attrition, in which a player wears down their opponent over time, winning through superior fitness. Learn how to play squash, and you can enjoy one of the most fun ways to do exercise and achieve fitness. Which type of Lacrosse is best for you? Played with a lacrosse stick and ball (if you don’t know what is lacrosse then check out this video), players use the net at the top of the stick to pass, catch, carry and shoot the ball into the goal. There are four types of lacrosse, each with unique rules, fields and gear. Men’s field lacrosse is played outdoors and is similar to football in its use of helmets, shoulder pads, elbow pads and gloves. Teams often play 60-minute games with penalties for cross-checking and slashing. Box lacrosse is played indoors on a smaller artificial turf field. Teams consist of five players and the goal is smaller. Players must make a shot within 30 seconds of possession, and they must wear more protective equipment as cross-checking is legal. The fast pace and high contact nature of box lacrosse closely resemble hockey. Women’s lacrosse requires only eyegear as well as pads and helmets for goalies. Intercrosse is a non-contact, mixed-gender variation of the sport. Whichever version of lacrosse you play, you’re sure to get an intense workout. Most commonly known as whitewater rafting, this aquatic sport uses an inflatable raft and oars or paddles to clear a river. Depending on the conditions of the water, rafting can range from fun and casual sport to an extreme and dangerous one. Significant upper body strength, knowledge of physics, and teamwork is required to brave the rapids. Rivers are ranked in difficulty from Class 1 to Class 6, which involves violent waves, large rocks and hazards, steep drops and other hazards. Don’t worry; you can still have fun and get a good workout from the lower classes. A winter sport is dating back several centuries; skiing has been misunderstood as simply sliding downhill. But the sport demands considerable strength, endurance, balance and skill to turn, maneuver, accelerate, brake and jump. Cross-country skiing, speed-skiing and freestyle skiing are highly competitive events that require dedicated practice. The most common type of recreational skiing is alpine skiing, which can be done at ski resorts or on undeveloped trails with significant snow coverage. What underrated sports do you play for your health to stay fit? Let us know in the comments below! Copyright © 2019 Games and Sport.